SSTV Space Images To Commemorate 40th Apollo-Soyuz Mission! In order to commemorate the 40th anniversary of the Apollo-Soyuz mission, the Amateur Radio on the International Space Station (ARISS) team will transmit a series of 12 Slow Scan Television (SSTV) images. The SSTV transmissions on 145.80 MHz will begin on the morning of Saturday, July 18, and continue through Sunday July 19, subject to change. Apollo-Soyuz represented the first joint US-USSR mission, and it set the stage for later US-Russia collaboration on the space shuttle, Mir Space Station, and the International Space Station. The Soyuz and Apollo vehicles were docked from July 17-19, 1975. During that time, the three astronauts and two cosmonauts carried out experiments and other activities. Apollo-Soyuz was the final mission of the Apollo program and the last US human spaceflight mission prior to the inaugural space shuttle mission in 1981. Submit SSTV images to the ARISS SSTV image gallery by clicking HERE, which will post the best SSTV images received from this event. The ISS cosmonauts will take time out from the SSTV transmissions on July 18 to conduct an ARISS contact (starting at approximately 1655 UTC) with students attending the Moon Day/Frontiers of Flight Museum event in Dallas, Texas. Streaming audio will be available HERE. ARISS International has expressed thanks to ARISS-Russia's Sergey Samburov, RV3DR, for his leadership on this historic commemoration. Also, special thanks to the AMSAT News Service via Frank Bauer, KA3HDO, ARISS International Chair, and NASA for their support! ARALB • ASSOCIATED RADIO AMATEURS OF LONG BEACH provides amateur radio testing for $5.00 on the third Saturday of each month at 9:00 AM. Next testing date after Saturday, July 18, 2015 is Saturday, August 15, 2015. The test location is at the The Church Of Jesus Christ Of Latter Day Saints, 3824 Woodruff Avenue, Long Beach CA 90808 (behind the Dental Building). Click HERE for a map & directions. Pre-registration is recommended through Louise Chapman, N6ELK, at 562-429-1355 or send an email to n6elk@aol.com. When you pre-register your GLAARG Form 605X will be ready for you to sign, when you come in to test. 2015 ARRL NEW ENGLAND CONVENTION BOXBORO MA! The Annual ARRL New England Ham Radio Convention will be held Friday, Saturday, and Sunday, August 21, 22, & 23 at the Holiday Inn in Boxborough, Massachusetts. Click HERE for a map & directions. Call the Holiday Inn at 978-263-8701 or 1-800-HOLIDAY to make a reservation or click HERE for other hotels in the Boxborough MA area. There will be commercial vendors, a swap meet area, raffle prizes, guest speakers, forum workshops, free one-day ham radio license classes. tons of commercial "swag," and loads of ham radio FUN!!!. Join us at the Saturday Evening Banquet with Keynote Speaker Gordon West, WB6NOA. Yes, that's our Gordo!! Most hams know Gordo as the man behind those ham radio instruction books. With awards like Hamvention's "Man of the Year" and ARRL's "Instructor of the Year", his classes, offered through W5YI, have brought him notoriety. In his spare time, Gordo also volunteers with the American Red Cross communications team in Orange County, California and provides free classes to CERT members. To put a fun spin on the weekend, Gordo will present "Pass The Ham," a fun banquet speech with LIVE recorded ham audio and several live electronic demo gags! Join us for the FUN!! Click HERE for complete ARRL New England Convention information. PACIFICON • THE WEST'S LARGEST HAM RADIO CONVENTION! The Annual Pacificon Ham Radio Convention will be held Friday, Saturday, and Sunday, October 16, 17,& 18 at the San Ramon Marriott Hotel, San Ramon, California. Call the Marriott Hotel at 925-867-9200 to make a reservation. Click HERE for a map & directions. There will be commercial vendors, a swap meet area, raffle prizes, guest speakers, forum workshops, free one-day ham radio license classes. tons of commercial "swag," and loads of ham radio FUN!!! Gordo's W5YI Ham Instructor Academy will be held on the first day of Pacificon, Friday October 16. Also, look for Gordo and his Ham Nation TV crew as they "roam" the convention floor taping segments for their upcoming shows. And who knows? You may be on TV! Click HERE for complete Pacificon information. GORDO'S MARINE RADIO OPERATOR LICENSE CLASS will be held on Thursday, November 19, 2015 at the Orange Coast College of Sailing in Newport Beach, California. Classes are from 9:00 AM to 4:00 PM, with lunch from 12:00 PM to 1:00 PM. Personalized instruction from Gordo. Materials and Gordo's Study Notes $99 plus $35 test fee. When you pass your exam, you will have the full privileges of the MROP -- the FCC's Commercial Marine Radio Operator Permit! To register for this commercial radio class, please click HERE or visit www.occsailing.com for more information. Pre-registration is required well before class time! Call Gordon West at 714-549-5000 Monday-Thursday, 10:00 AM to 4:00 PM to reserve your space today! 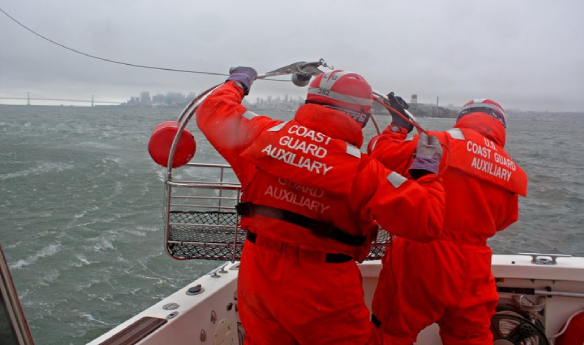 The U.S. Coast Guard Auxiliary Wants You! One of my most enjoyable volunteer avocations is being a proud member of the U.S.Coast Guard Auxiliary, the all-volunteer arm of the U.S. Coast Guard. Both Gordon West WB6NOA and I put our amateur radio skills to work, serving as Telecommunications Specialists, training radio operators, programming radios, and taking part in emergency drills, public affairs events, and on-the-ocean security patrols. Click HERE to view Gordo in action, putting his radio amateur teaching skills to work in Auxiliary Radio Communications. It's not all about radio comms either! Auxiliarists fill-in for the U.S. Coast Guard in all support areas except law enforcement. And the benefits are fantastic! Let's see.. we have helicopter and fixed wing pilots, using their skills in aerial patrolling and search & rescue, boat crews on open water patrols, class instructors, public relations specialists, videographers, and get this: there's even a chef's training program for those who like to cook! 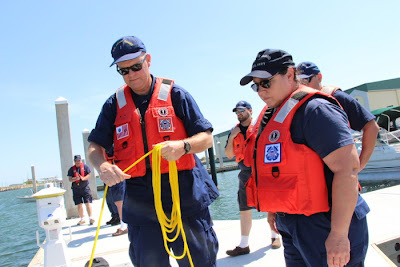 Teaching A Future Boat Crew Member "The Ropes"
The U.S. Coast Guard relies very heavily on the Auxiliary for boating safety training, search & rescue operations, public education, and my favorite -- radio communications! Interested in learning more? 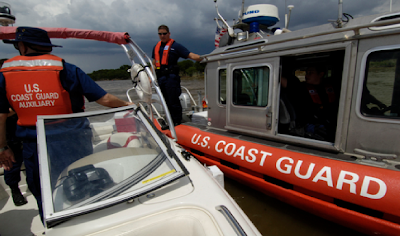 Just click on the link below for more information on how you can help the U.S. Coast Guard by being a proud, contributing member of the U.S. Coast Guard Auxiliary. This is one move, I guarantee you will not regret! Many radio amateurs across the country are members of RACES, ARES, DCS, the American Red Cross, the Salvation Army and other groups which support our emergency responders in the event of natural disasters, fires, floods, storms, and even acts of terrorism. These "volunteer" responders often purchase FCC Part 90 Accepted land-mobile radios, which gives them the opportunity to monitor public service agencies in the event of local, regional, or national emergencies or take part in exercises with government-affiliated groups, such as MARS, the U.S. Coast Guard Auxiliary, or the Civil Air Patrol. Recently, several inexpensive LMR handhelds and mobiles manufactured in China have been introduced to the American market. Although these offerings are generally not as rugged as their commercial counterparts, such as Vertex, Motorola, Kenwood, Harris, and others, they are substantianly more affordable and thus, very attractive to hams like us. Similarly, the question has arisen as to whether many of these Chinese products are really "FCC Part 90 Certified" as some claim to be. That is, whether these radios meet or exceed the FCC's new standard for 12.5 Hz narrow band operation and 2.5 kHz steps for expanded frequency allocations. As new "narrow band" products come to market, we will post for download the genuine FCC Part 90 Certificate here in the popular Adobe PDF file format, so that hams everywhere can be assured that their rigs are properly-approved for the outstanding emergency services to which they all contribute. If you have any questions as to whether your own mobile or handheld radio is FCC Part 90 Certified, you can search your radio's unique FCC ID by entering it HERE. The FCC ID may be found on a small sticker on the bottom of your mobile radio or inside the battery compartment of your handheld. Click HERE to view / download the FCC Certificate for the Chinese import 5W dual-band VHF-UHF Wouxun KG-UV6D handheld. Click HERE to view / download the FCC Certificate for the Chinese import 4W dual-band VHF-UHF Baofeng UV-5R handheld. Click HERE to view / download the FCC Certificate for the Chinese import 2W dual-band VHF-UHF Baofeng UV-3R handheld. Click HERE to view / download the FCC Certificate for the Chinese import 50W dual-band VHF-UHF Wouxun KG-UV920PA mobile. Click HERE to view / download the FCC Certificate for the Chinese import 50W dual-band VHF-UHF AnyTone AT-5888UV mobile. Check Your Signal On The Internet! WebSDR is a Software-Defined Radio receiver connected to the internet, allowing many listeners to listen and tune it simultaneously. SDR technology makes it possible for all listeners to tune independently, and thus listen to different signals. This is in contrast to the many classical receivers that are already available via the internet. 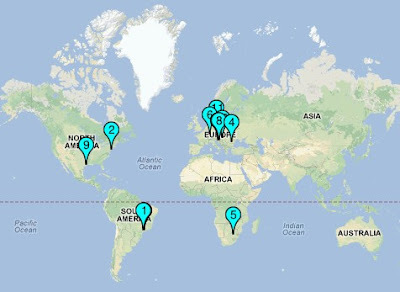 WebSDR is located at www.websdr.org. More background information is available HERE and frequently asked questions are answered HERE. Questions and comments can be sent to PA3FWM, the author of the WebSDR software and maintainer of this website. Welcome to the S-Meter Website Check your signal and listen to others on remote receivers. Read thousands of pages of ham radio information. Download virus-free radio-related design programs. There is no charge for receiver usage, any of the information, or any downloaded computer programs. Listen To The Dallas, Texas Receiver On Your Smartphone The Dallas receiver audio streaming technology has been changed for compatibility with modern Smartphones. Users of Windows Smartphones have been listening to receivers at the S-Meter site for years. Now Android, iPhone, and iPad users can listen to the Dallas receiver from their mobile devices. Clicking this link will take your Smartphone or iPad to the new Dallas receiver mobile streaming page Dallas Receiver Mobile. Desktop users should LISTEN HERE instead. Newport OR Receiver Now Online The Kenwood R-5000 receiver that was running online from a site north of Salt Lake City for many years has been moved to Newport, Oregon and is now back online. Click HERE to check your signal. TECH NOTE: When using your laptop computer next to your ham rig, plug headphones into the audio-out jack of the computer (to hear your own transmission) and a dummy plug into the rig's headphone jack to mute the rig's audio, in order to prevent feedback. Enjoy! I enjoy being involved in my community in many ways, especially in Emergency & Disaster Preparedness! Serving my country as a proud member of the U.S. Coast Guard Auxiliary as a Radio Telecommunications Specialist. Copyright 2013 Jason Gant W6AUX. Picture Window theme. Theme images by konradlew. Powered by Blogger.